I'm certainly not one to shy away from a red all year round, whether it be a deep burgandy or a florescent orange but December is the time when the pure red-reds really come into own and there's nothing more festive than a matching crimson lip and nail combo. The Long Lasting Red: I've already shouted from the rooftops about liquid lipstick formulas being the absolute longest lasting thing you can put on your lips and when party season comes being able to eat, drink and cringe worthingly dance the night away minus the worry about touch-ups is definitely the main thing I look for. The Sleek Matte Me in Rioja Red (the shade I'm wearing in the image above) is the perfect combination of indestructable lasting power and a pretty darn reasonable price tag. The Glossy Red: Lip crayons might just be the handiest thing around - especially when it comes to a red pout that requires the ultimate precision. The Bourjois Colour Boost in Red Island* offers up a rich glossy finish that still packs in plenty of pigment teamed with a boost of hydration. It's also one of the easiest to pop in your handbag and re-apply, layering up without caking no extra need for a lip brush - space saver! 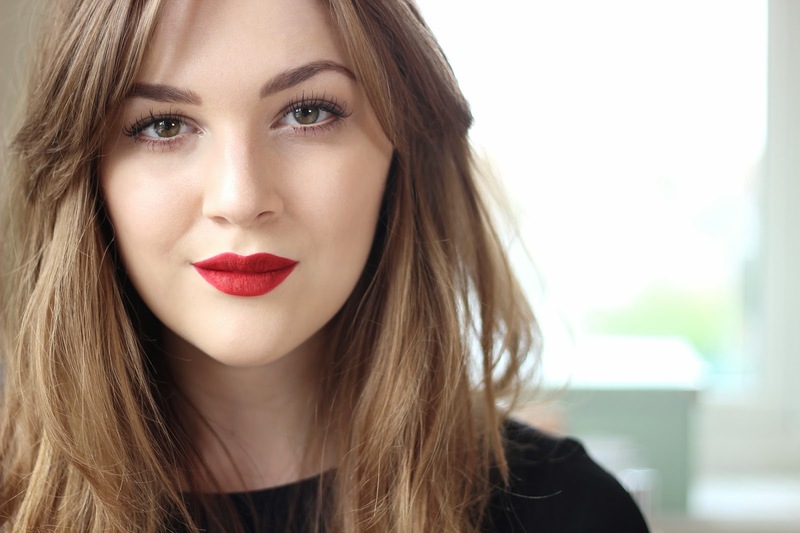 The Velvet Red: The Rimmel by Kate range still continues to be a firm favourite of mine for Autumn/Winter - 107 is just about the perfect berry. 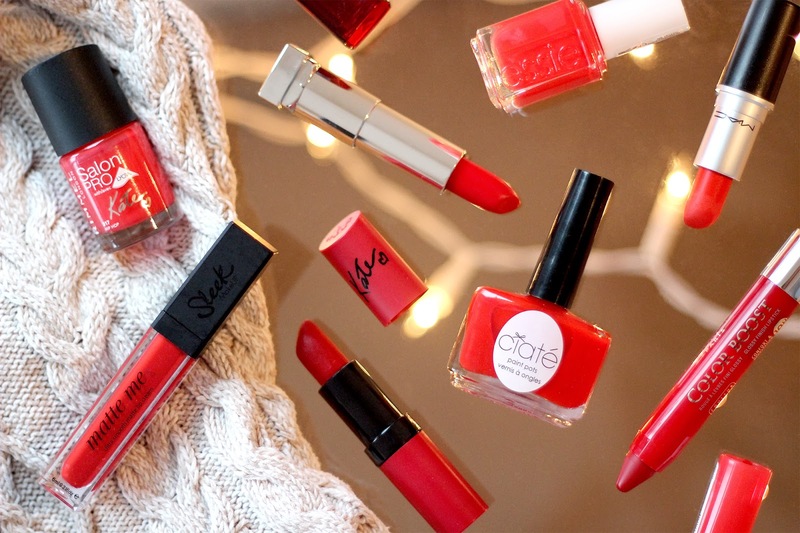 It's the shade 111 Kiss of Life however that has my pick for the perfect December red. Everything about this colour screams Christmas to me and the formula, although matte enough to stay put has a velvety look to it that adds an extra plump factor. The Hydrating Red: Red lipsticks are known to be on the drying side but one I've found that heaps on the moisture is the Maybelline Colour Sensational in Fatal Red. This classic colour boasts a velvety smooth looking formula injected with a rich balmy texture yet no glossiness to be seen. The Cult Red: Of course, this wouldn't be a post about red lipstcik without MAC's Lady Danger. The red of the century, universally flattering and stand out like theres no tomorrow, I have to pin this one down as my all time favourite by a mile. Wear With: When it comes to nails my three picks for a perfect pairing are Essie's Fifth Avenue; if Lady Danger came in a nail varnish this would be it - the perfect bright red, Ciate's Misstress*; a nice rich opaque formula that will have your talons ready to party in an instant and another mention from the Kate Moss for Rimmmel range in the form of the Salon Pro shade Hip Hop; an ever brighter affair, this time on the more orange side of things and boasting my favourite 'one sweep and you're done' brush of the three.